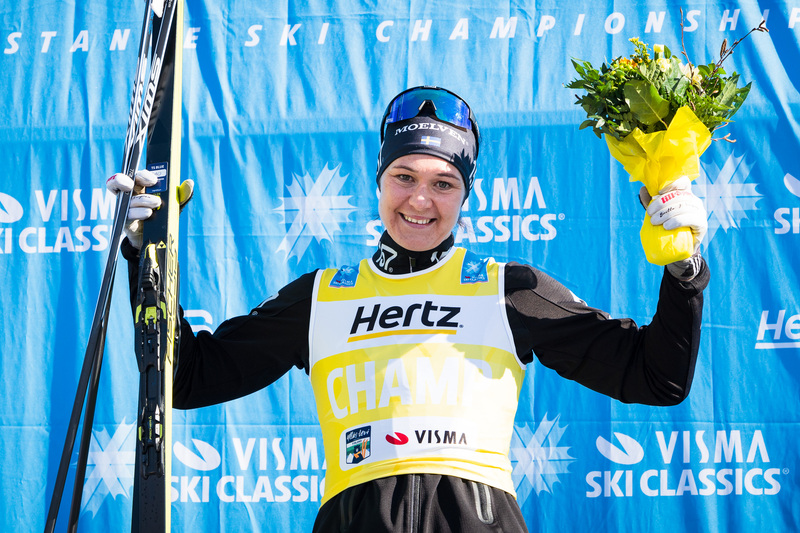 The Visma Ski Classics Season IX has been an action-packed tour with 12 events starting in Livigno in November/December and finishing tomorrow when the 70 km Ylläs-Levi starts at 7:25 am CET with the elite women. That will certainly be a thrilling race in its own right, but the most exciting battle will be seen starting at 8 am CET in the men’s race where two skiers are going neck-and-neck from the beginning to the end. 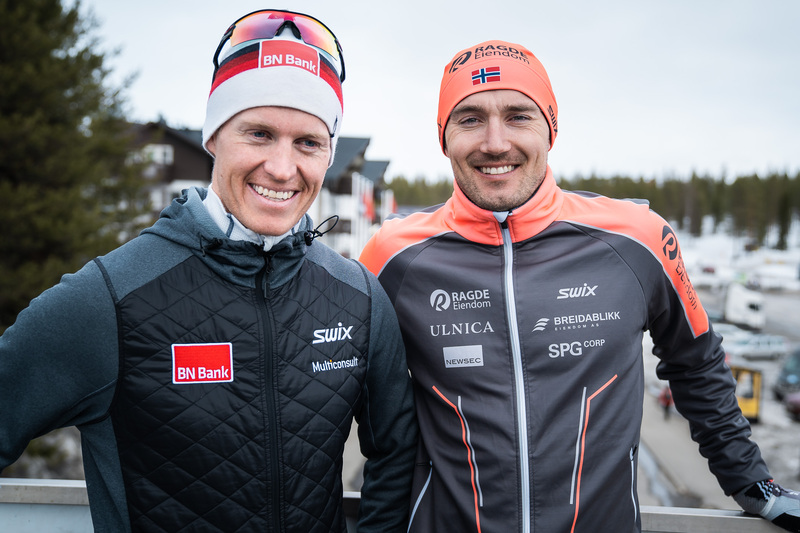 These two gladiators are, of course, Andreas Nygaard, Team Ragde Eiendom, and Petter Eliassen, Team BN Bank, and the former is only 27 points ahead the latter. 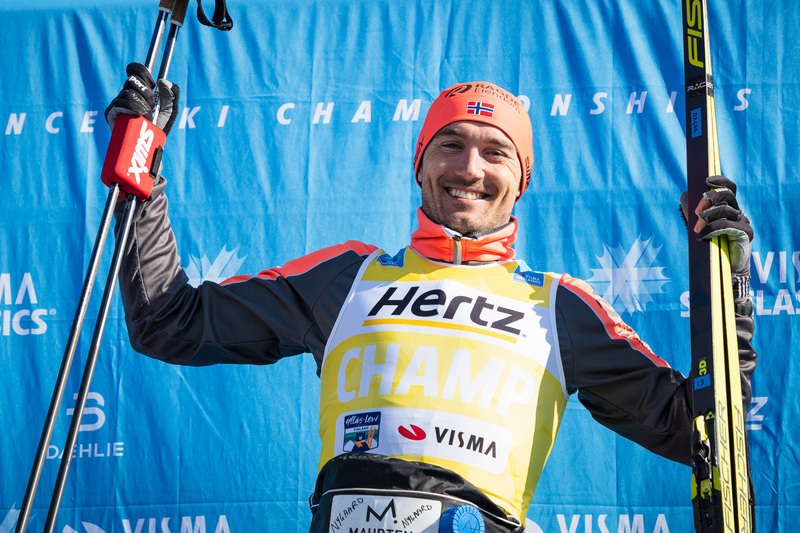 So, the one who wins the race will be crowned as the King of Visma Ski Classics this year. They both agree that the situation is exceptionally exciting and even somewhat nerve-racking, but they are ready to give their best and then some. Eliassen and Nygaard, even if they are from different teams, train a lot together and they do many joint tempo trainings. As a matter of fact, they did one tough preparation workout on Tuesday, and Nygaard proved to be a touch better. Hence, Eliassen is saying that his dear opponent is the favorite come tomorrow. Last weekend, Eliassen decided to go double-poling in Reistadløpet as he was a bit concerned about his diagonal striding technique and the conditions seemed to favor skiing without kick wax. He also said that he is still suffering from an inflammatory injury in his right hand that he got in the 220 km Red Bull Nordenskiöldsloppet a week before the Norwegian race. Nygaard won that race and admitted that he felt very tired in Norway, but he should be recovered now. When asked about tomorrow’s clash of the titans, Nygaard thinks that there is perhaps too much excitement in the air. A lot is riding on the result of the race, and both skiers know that. Naturally, everyone wants to know about the tactics for these two skiers when they face each other. Both of them are convinced that the pace will be high during the race. Eliassen, on the other hand, thinks that the pace will be high even in the first climb up to Yllästunturi. Finally, they both agree that Ylläs-Levi is the perfect stage for their epic battle, and the event is one of their favorite races. They like the course with its beautiful scenery all the way from Ylläs to Levi. They also appreciate the fact that the last race is long and challenging.